In recent times there seems to have been a surge of interest in the phenomenon known as guerrilla gardening, which might lead you to think it’s a new trend invented by craft beer swilling, gourmet burger eating bearded hipsters. You’d be mistaken; in fact, the advent of guerrilla gardening can be traced all the way back to New York City in the early 1970s. 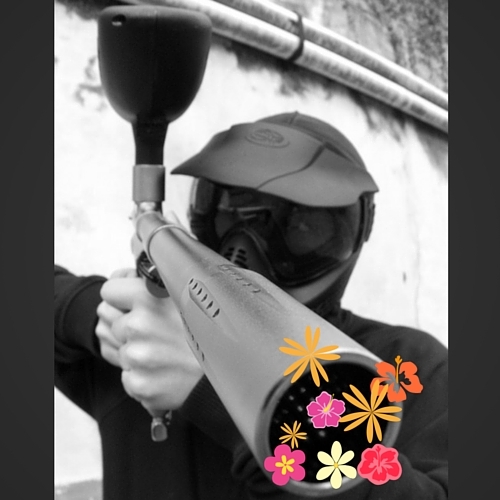 As with many of these types of niche interests, the advent of the Internet has definitely prompted a renewed interest in guerrilla gardening, helping to spread awareness as well as making items such as ‘seed bombs’ more readily available. So what exactly is guerrilla gardening? According to the Wikipedia definition it is “the act of gardening on land that the gardeners do not have the legal rights to utilize, such as an abandoned site, an area that is not being cared for, or private property.” This definition almost paints the act of guerrilla gardening in a shady, nefarious light, bringing to mind zealous activists operating on the fringes of legality. The key thing to bear in mind here, however, is that guerrilla gardening generally takes place on land which is perceived to be abandoned or neglected, often with the purpose of making the area more attractive or to grow crops and raise plants with the goal of benefiting the community at large. Guerrilla gardening cells have sprung up in diverse locations throughout the world, from Europe and America to Australia, New Zealand, South Africa and South Korea. Guerrilla gardeners sometimes operate nocturnally under a veil of secrecy although it has become increasingly common for many to garden during the day to bring attention to the practice, attracting publicity to the cause. Seed bombing and seed grenades are terms which are often synonymous with the act of guerrilla gardening. A seed bomb is a compressed bundle of seeds held together by soil, clay or similar biodegradable materials. The appeal of seed bombing for a guerrilla gardener is that it can easily facilitate planting access to areas of land which were previously off limits or difficult to access physically. As of 2007, many guerrilla gardeners around the globe have taken part in International Sunflower Guerrilla Gardening Day, an annual event which occurs on the 1st of May. The event has grown steadily since its inception, reaching over 5000 participants by 2010 throughout Asia, North America and Europe. To coincide with International Sunflower Guerrilla Gardening Day this year, Clare Florist will be hosting a very special promotion – so watch this space for further details in the coming weeks! Don’t forget that you can also keep up with all our latest news on Facebook and Twitter, and you can also keep an eye on our latest magnificent floral photography by way of Instagram as well.